On the run from her past, Laurie is always looking over her shoulder. Though Aiden and she are together, Laurie can’t escape the demons who haunt her. To Laurie, she must keep running to keep the Devil’s beasts off her scent. Nightmares eventually become reality and Laurie’s thrust face to face with Devil. New players enter the game, people die, truths are revealed, and Laurie is forced to chose: to either fight or give up completely. While Laurie entrapped by the Devil, can Aiden save the woman he loves–or– will he be outwitted and left with his love dead in his arms? **NOTE: This book is part of a two (2) book series and should be read AFTER the first installment, “Killmore,” in order to maintain the story’s continuity. From Amazon Best-Selling Author Martha Sweeney, comes her first romantic suspense novel. You know how they say the enemy of your enemy is your friend? Well, I’m still determining if there’s any truth to that statement. I was used by the Feds to report on the dealings of Antonio Herrera – the major Mexican crime lord since his uncle passed, leaving everything to Antonio. I knew everything about Antonio’s business. How, you ask? I was the only woman he kept close, really close – he claimed he loved me. You get to see and hear a lot of interesting things when you hold that kind of status. Now, the Feds have me in what they claim is witness protection. However, I never feel safe knowing he’s out there. My family thinks I’m dead. All the while, I keep to myself, avoid most people in my new hometown and train rigorously everyday—waiting for the time when the devil comes calling for his debt to be paid. ***This is the first book in a two book series. This book should be read prior to the second book. 99¢ for a limited time! 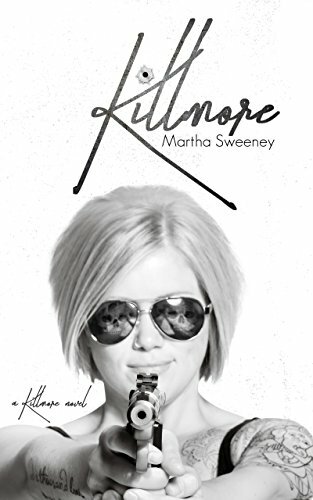 Martha Sweeney is an Amazon Best-Selling author who writes in a variety of genres: romance, suspense, thriller, coloring books, romantic comedy and science fiction. She strives to push herself as a storyteller with each new tale and hopes to push her readers outside of their comfort zone whether it be genre or the stories themselves. With a B.S. in Psychology, Martha utilizes her knowledge of human and animal behavior successfully in the business world and in her writing to present realistic characters and situations. She’s been creative since she was little, always drawing, coloring or making crafts, so her venture into being an author was a natural transition. She lives in sunny California with her husband and enjoys writing poolside most months out of the year.